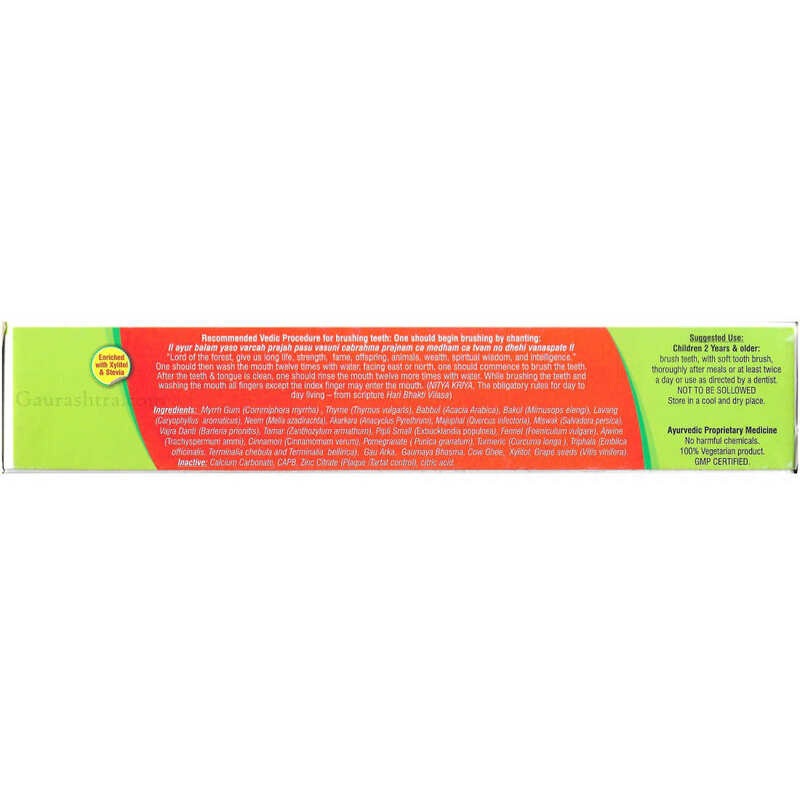 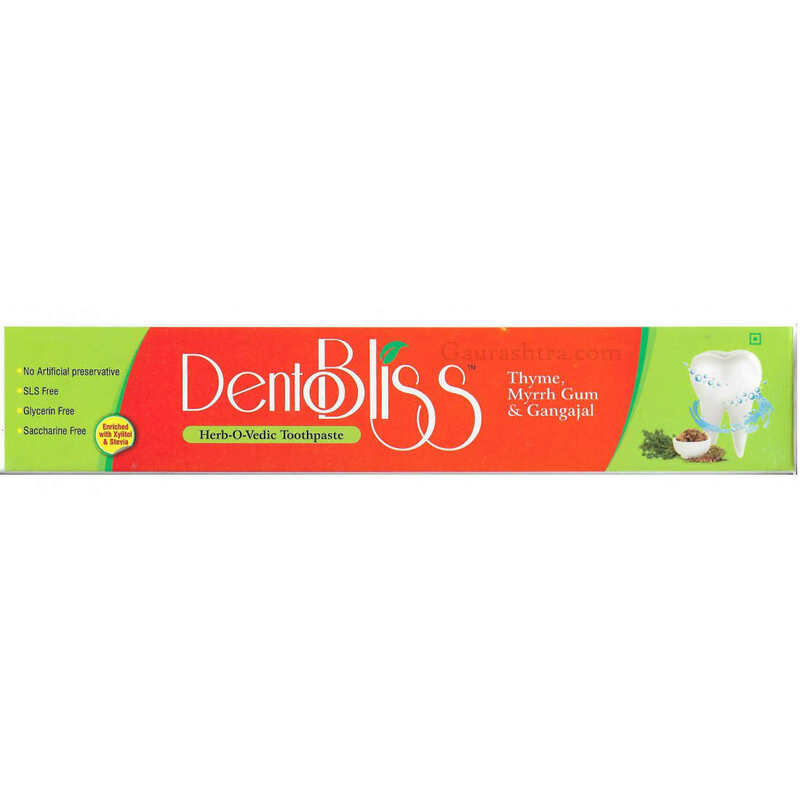 Cowpathy Herbal Toothpaste is free from any artificial preservatives, SLS, Glycerin and Saccharine. 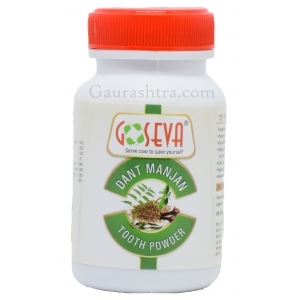 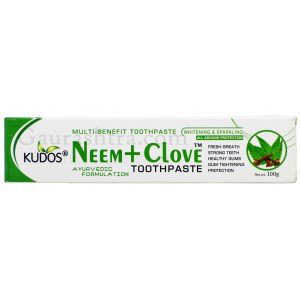 It is enriched with excellent herbs with Xylitol & Stevia. 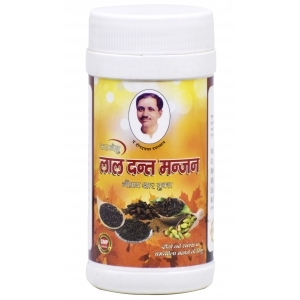 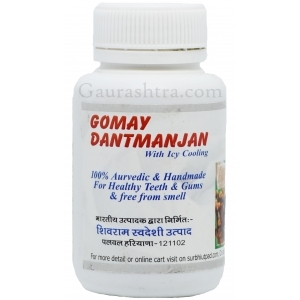 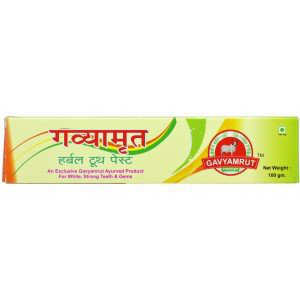 It has the goodness of Myrrh Gum (लोहबान गम) , Thyme (अजवायन के फूल) and Gangajal. 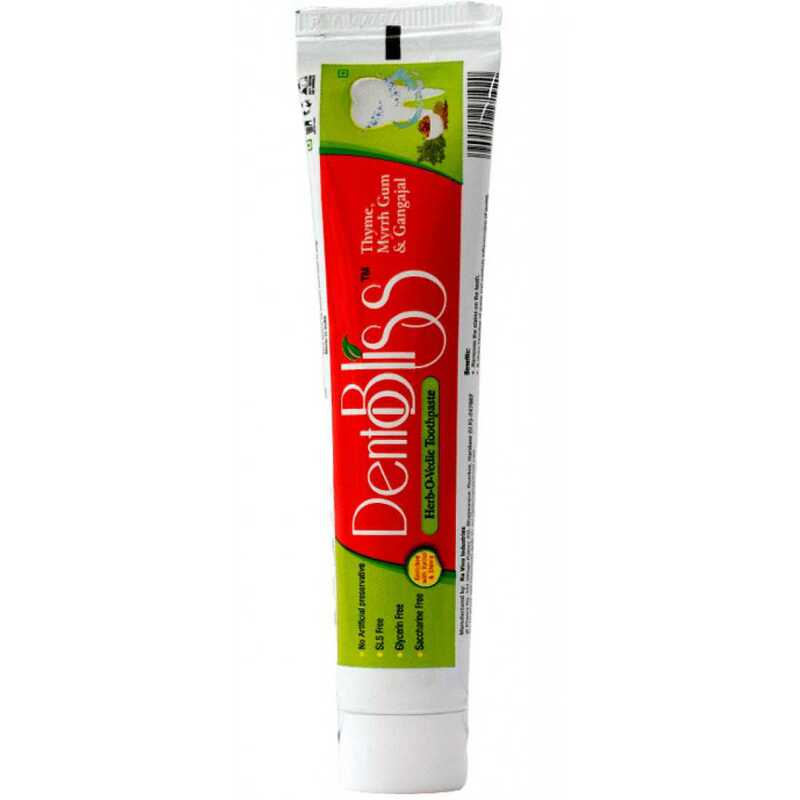 Helps clean stains off, stops bleeding gums and controls inflammation of gums. 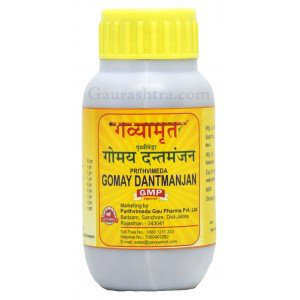 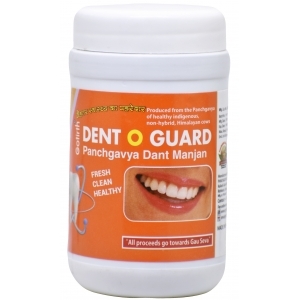 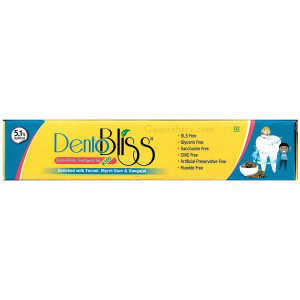 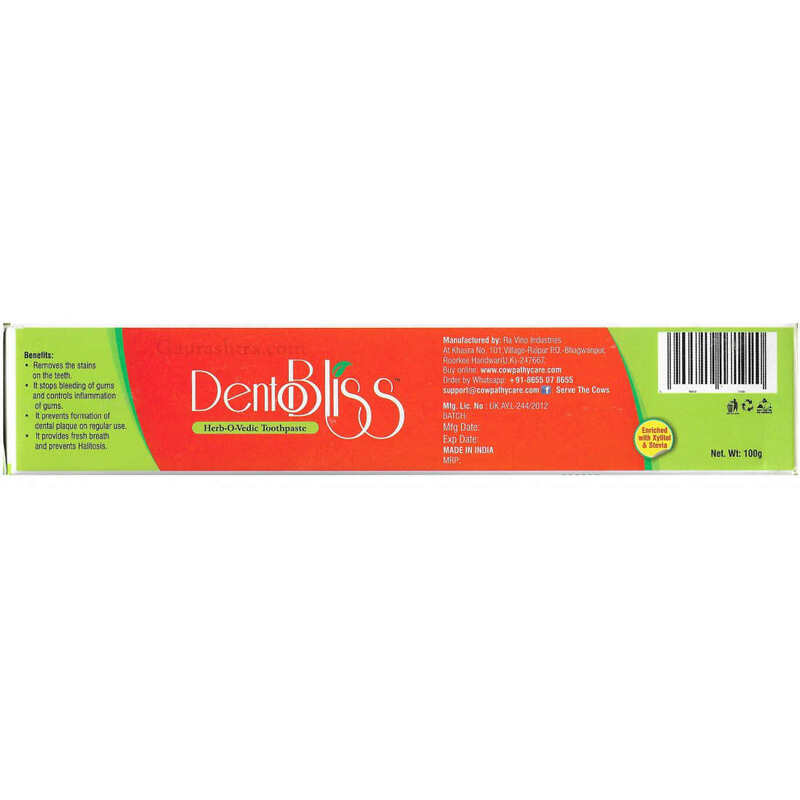 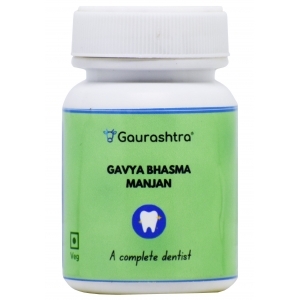 Prevents formulation of dental plague on regular use. 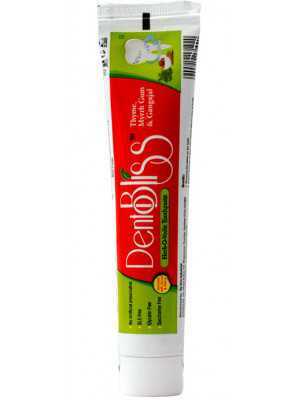 Fights bad breath and prevents Halitosis.